At Cherry Ridge Construction we stand by a philosophy of quality, craftsmanship and value. Over time, we have created our own set of standards for home building. It’s the little things that make all the difference. As part of our standards, we are committed to building Energy Efficient Homes. We work with a third party vendor to rate our homes by completing various Energy Star tests. 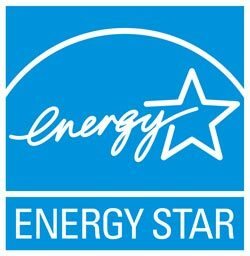 What does Energy Star Efficiency mean for you the homeowner? Homes built to Energy Star standards have been proven over time to lower utility bills for the homeowner and to qualify for certain tax rebates depending on the location. How we build energy efficient homes. Cherry Ridge Construction is an energy efficient home builder serving the entire Omaha-Council Bluffs metro area. President, Chris Rochleau has earned the Certified Green Professional designation from the National Association of Home Builders. This designation is reserved for builders who practice green building and undergo an ongoing rigorous training program involving all details of energy efficient construction practices.